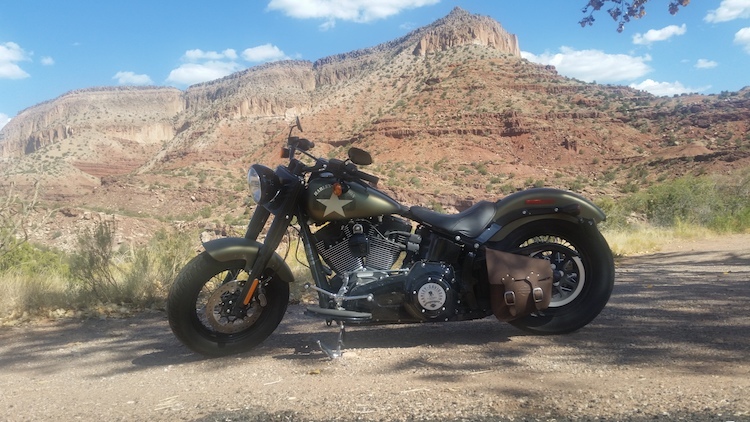 One of eight official “byways” in New Mexico, the Jemez Mountain Trail National Scenic Byway is chock full of scenic vistas, natural beauty, cultural and historic sites. This 160-mile loop from Santa Fe accommodates most vehicles, with nice roads and offers a convenient and rewarding way to experience the best of Northern New Mexico—in just one day…albeit a full day! For one of the most spectacular five-mile drives in New Mexico, continue north on Hwy 4 and take the NM 485 turnoff. This spectacular winding mountain drive is on narrow lanes that winds past tiny farmsteads along the Guadalupe River. The mesa’s colorful strata slope toward the river, then the canyon enters hard strata of granite. The paved NM485 turns west, crossing the Jémez River, then goes through the small town of Gilman following the picturesque Rio Guadalupe. 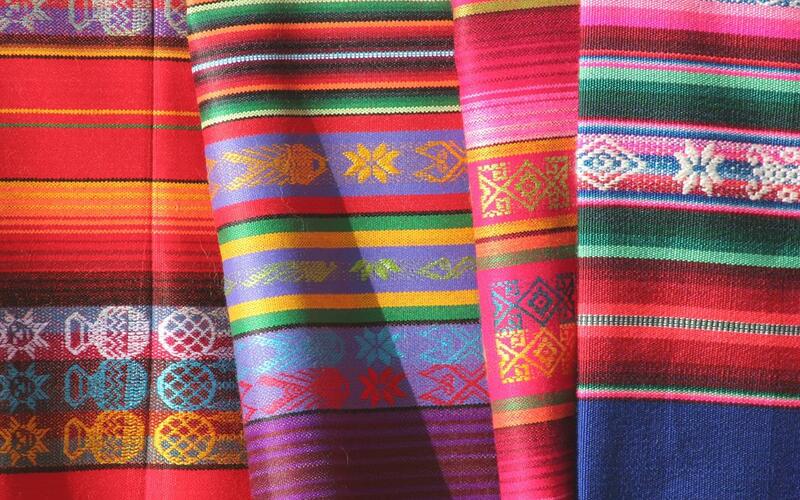 You are surrounded by the Jémez’striking mesas. 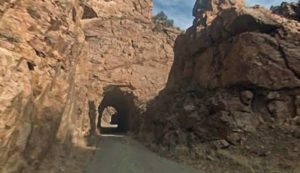 Ride along the Rio’s cascades to the Gilman Tunnels. Then climb through some of the oldest rocks in the Jémez Mountains as the canyon narrows. The tunnels were named after William H. Gilman (one-time CEO of the SFNW Rail Road). After the second tunnel you will find a beautiful waterfall and many rocks to climb around and rest on. Back track to NM 4 and continue north to Jémez Springs. 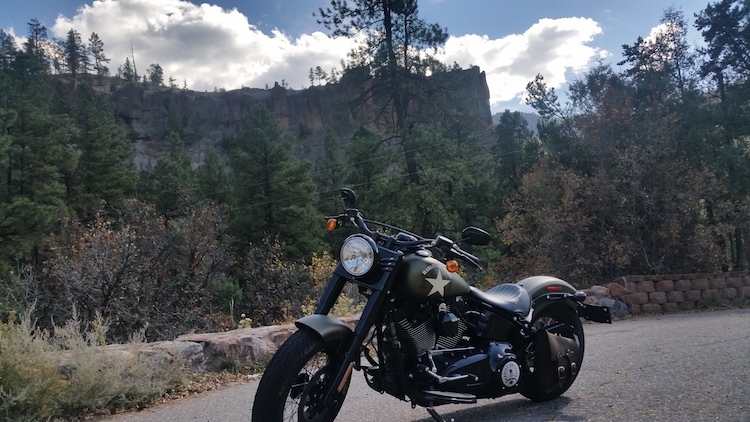 The scenic byway winds beneath towering cliffs in Cañon de San Diego and follows the cascading Jémez River, one of the state’s premier trout streams. The historic village of Jémez Springs, which dates back to the 1860s, is your only chance for a hot meal, coffee and pastry, shopping and gallery browsing. If you’re ready to relax, the modernized Jémez Springs Bathhouse, originally built in 1870, offers a 25-minute soak (no swim suit needed in their private baths) for $12 and a 30-minute massage for $42. The “commercial” strip of Jémez Springs is home to only a handful of restaurants. 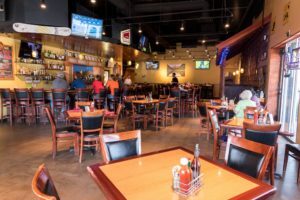 Consider dining at Los Ojos Restaurant and Saloon with seating options in their family-friendly restaurant, the louder, more energetic saloon, or the outdoor patio. 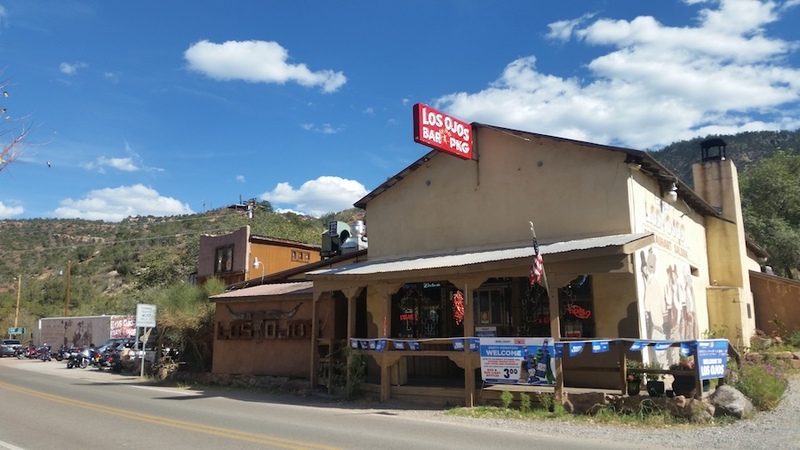 They are known for their “Famous Jémez burger” topped with Swiss cheese and a mound of black olives…a nice departure from the typical green chile burger fare. I chose the famous burger and enjoyed it on their lively patio. Both bun and burger were perfectly toasted; lending a nice crunchy texture to each bite…the thick cut fries were tasty too! The menu at Los Ojos contains a range of options from burritos to sandwiches. Judging from the jukebox and pool tables crowding the old wooden floor of the saloon mid-day, this joint becomes a hot spot for locals and weary travelers once the sun goes down. The ancestral Jémez Indians liked hot water baths as well and built the Giusewa Pueblo or “Place of the Boiling Waters.” When the Spanish conquered the pueblo they built the massive stone San Jose de Los Jémez Mission. Unique to this mission was an octagonal-shaped bell tower. Jémez State Monument preserves the ruins of the pueblo and church at the northern edge of town. One mile north of town, another spring pours across the Jémez River and forms the Soda Dam. The buildup of mineral deposits has formed a unique and spectacular natural dam that blocks the Jémez River. It is one of the most photographed spots in the area. Be sure to stop if you can find a spot as parking is along the roadway. Four miles further north on NM4 is an impressive site! Battleship Rock is a sheer cliff that rises suddenly 200 feet above the river. The rock, named for its similarity to the prow of a ship, is peppered with bits of glassy smooth obsidian, a black rock created from volcanic eruptions in the area over 5 million years ago. The Battleship Rock day use picnic area below is very popular destination, so be prepared for others taking in the great hiking trails that lead to McCauley Warm Springs (two miles) and Hidden Falls. Continuing on NM 4, the scenic byway turns east at La Cueva and climbs through ponderosa pines and stately aspens with white trunks. Just 3 miles off of NM 4 is the Jémez Falls, (about 12 miles from Battleship Rock). Located at an altitude of 7,880 ft. above sea level, the river drops 70 feet through a spectacular series of falls through a narrow gap in the granite. Continue another 5 miles to the Valles Caldera National Preserve. The park covers 89,000 acres of the massive collapsed volcanic domes and peaks that erupted 1.25 million years ago and formed the spectacular features of the Jémez Mountains. This national preserve is a 14 mile wide collapsed volcanic caldera creating a lush meadow in the middle. See wildlife, mountain range vistas, and native grasses providing a sense of solitude leaving you refreshed and relaxed. The Preserve is open to the public, but you will feel like you have the place to yourself. You may need another food break after a day full of riding and hiking. Los Alamos is a perfect stop before the 33 mile ride back to Santa Fe. Flo and I stopped at the Pajarito Brewpub and Grill. This small, classic brewpub, on Trinity Drive, features gastro-pub fare and regional cold brews. The menu includes items like Scotch Egg, Little Neck Clams, Fish ‘N’ Chips, Guinness Pie, along with burgers, salads, sandwiches and more. On this visit I enjoyed the Sidewinder Ruben with pastrami, house-made sauerkraut, smoked tomato-gherkin dressing, swiss cheese, and marble rye. Yummy! There’s much more to do and see in and around Los Alamos which requires its own day-trip. Activities such as Bandelier National Monument, Bradbury Science Museum, Los Alamos History Museum, and San Ildefonso Pueblo. 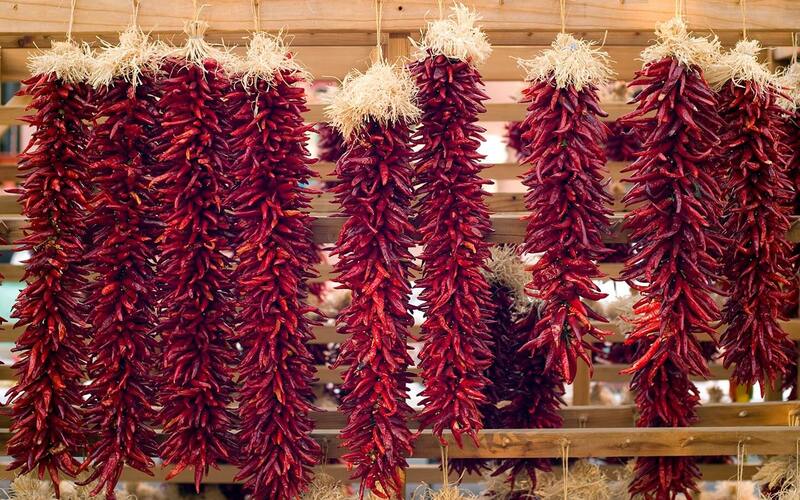 You can learn more about these and other activities by checking out our day-trip itinerary: West to Los Alamos and the Jemez Mountains. 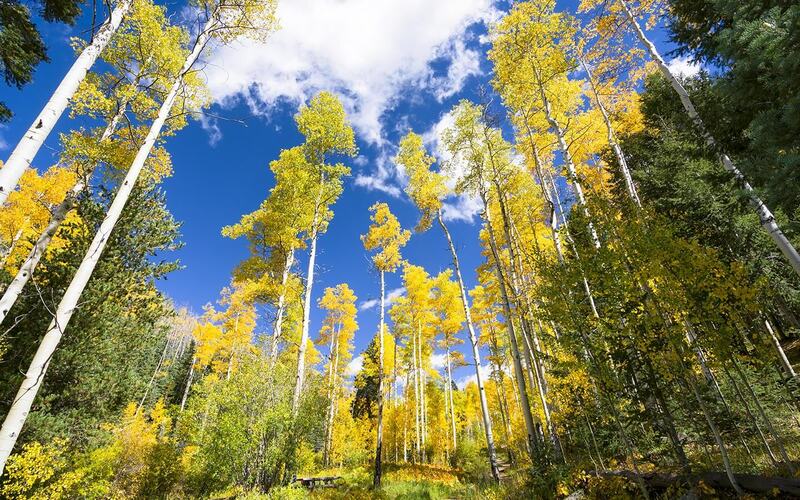 The Jemez Mountain Trail National Scenic Byway is a perfect day trip to enjoy while staying at our #1 rated Santa Fe bed and breakfast, Inn of the Turquoise Bear!